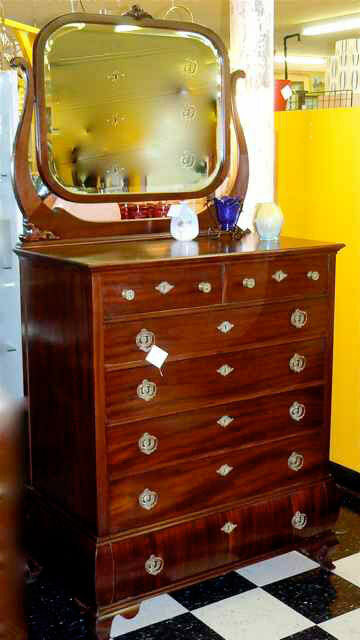 This is a vintage mahogany high chest with a cradle mirror. The mirror glass is new. The bottom drawer is a Bombe’ style. The approximate date if this chest is 1910  1920.